Divorce is a difficult and often frustrating issue to deal with. Have questions? 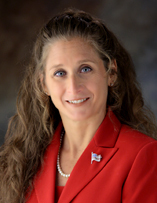 Call Jacksonville divorce attorney Sharon L. Gasparo for your FREE consultation. Florida does not really have “child custody” any longer. Most times, parents have “shared parental responsibility” involving their children, and they work out a timesharing schedule. A paternity action is used any time the parents are unmarried and have issues involving child support, timesharing or custody. Divorce, custody and preparing for the death of a loved one are issues that are difficult and often frustrating to deal with. During these times, it is important to have a professional that can effectively advocate for you. You deserve balance, and this law office is dedicated to helping you achieve that. We specialize in matters of family law, and we put you first. You will receive caring, personalized service from Sharon L. Gasparo, Esq. If you are in Duval, Clay, Nassau, Baker and St. Johns counties and need a divorce attorney, we can help. Schedule your free consultation today! Call (904) 384-4044, or email us to make your appointment.